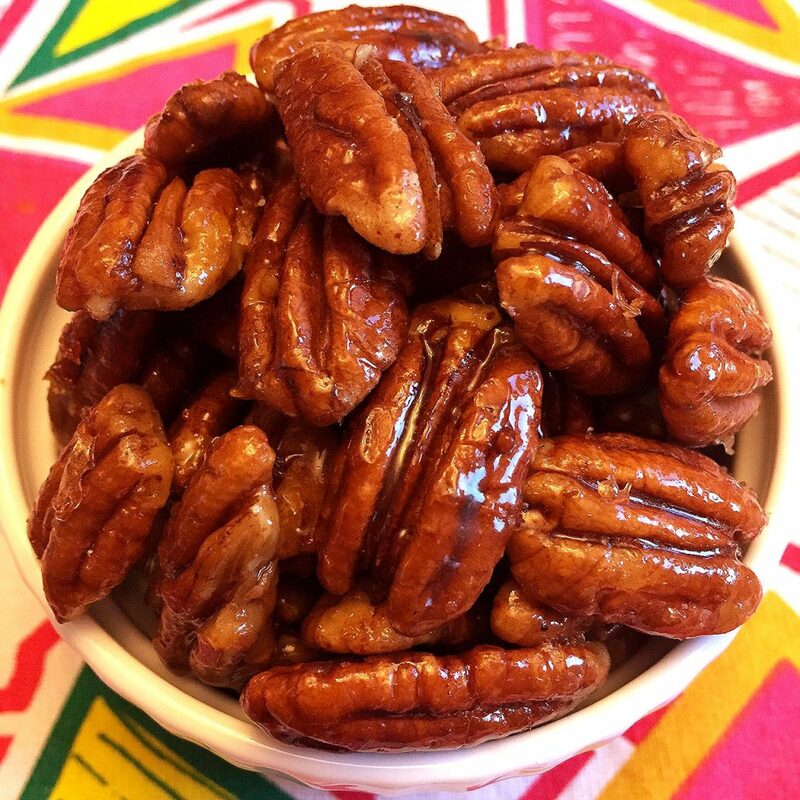 Honey Candied Pecans - Healthy Clean Eating Recipe With No Added Sugar! These honey candied pecans are absolutely delicious! Sweet and sticky with a thick glaze of honey - mouthwatering! Best of all, they are using wholesome ingredients that are actually HEALTHY! This is a perfect clean eating recipe! Line a baking sheet or 2 large plates with parchment paper (for cooling the pecans) and set aside. Put pecans and honey on a non-stick frying pan and heat over medium-high heat. When the honey starts bubbling, reduce heat to simmer. Cook, stirring the pecans every 10 seconds, for 4 minutes, or until excess honey evaporates and the pecans look candied. Put the candied pecans on parchment paper and spread them apart so they are not touching. Let the pecans dry on parchment paper for 24 hours.